Due to his dedication to battling social injustices and racism throughout the United States, DeRay Mckesson has emerged as a key 21st century civil rights activist and educator. His documentation of the protests in Ferguson, Missouri following the unjust murder of Michael Brown in 2014 solidified his role as a leader in the national Black Lives Matter movement. Mckesson was born on July 9, 1985 in West Baltimore, Maryland. His father, Calvin Mckesson, and great-grandmother raised him and his sister, TeRay, after his mother left the family. Growing up, both of McKesson’s parents were addicted to drugs and violence in his neighborhood was a norm. As a result, his father moved their family to Catonsville, Maryland. During his teenage years, Mckesson was a community organizer and the Chairman of Youth As Resources, a youth-led organization in Baltimore that obtained and used grants to support activities that steered young people away from crime and drugs. Before graduating from Catonsville High School, he had served as president of his class and was active in student government. In 2007, Mckesson graduated from Bowdoin College in Maine with a degree in government and legal studies. Teach for America gave Mckesson the start to his career with a position as an elementary school educator in Brooklyn, New York. On August 16, 2014, 29-year-old Mckesson took his first trip to Ferguson, Missouri to join the protests following the murder of Michael Brown by local police officers. Leading up to 2015, when he made an announcement via Twitter that he had quit his job and moved to St. Louis, Mckesson had spent all of his days off with people from Ferguson and other suburbs demanding justice. Utilizing his social media accounts, Mckesson provided insightful live reports of the unrest in Ferguson. Mckesson’s online following grew rapidly as thousands across the nation relied on his real-time updates for news regarding the protests. In 2015, he joined Johnetta Elzie, Samuel Sinyangwe, and Brittany Packnett to launch “Mapping Police Violence”, a collection of data related to police-involved killings, and Campaign Zero, a ten-point policy plan for reforming police conduct. In November of 2015, Mckesson spoke at the GLAAD Gala about his life experiences as a gay African American man and urged LGBTQ+ individuals to “come out of the quiet” to fully embrace their identities. On February 3, 2016, Mckesson announced his candidacy for the Baltimore mayor election. He finished sixth in the Democratic Party primary on April 26, 2016 with 2.5% of votes. 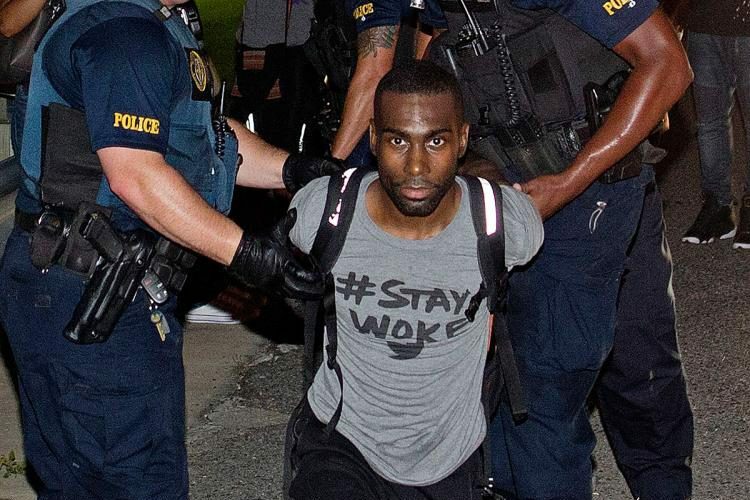 After the shooting of Alton Sterling in Baton Rouge, Louisiana on July 5, 2016, Mckesson went to the city, was arrested during a protest while live-streaming the event. Charges against him were later dropped and soon after, he and other activists met with President Barack Obama in the White House to discuss friction between African American communities and police officers. Since then, Mckesson has traveled the country to take action against injustices towards marginalized communities. Currently, he’s the host of the “Pod Save the People” podcast and continues to serve as an engaged advocate, educator, and leader. His first book, On the Other Side of Freedom: The Case for Hope is scheduled to be published on September 4, 2018. Stephen A. Maglott, “DeRay Mckesson,” Ubuntu Biography Project, July 8 2017, https://ubuntubiographyproject.com/2017/07/08/deray-mckesson/; Michael Schaub, “Activist DeRay Mckesson will publish his first book in September,” Los Angeles Times, February 14 2018, http://www.latimes.com/books/la-et-jc-deray-mckesson-20180214-story.html.